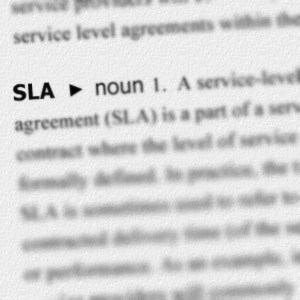 A Service Level Agreement – commonly abbreviated to SLA – is a vital part of any service contract. It formally defines the minimum level of service a customer requires from their provider. Service Level Agreements are very common across a number of industries; for example, you are likely to have an SLA with your internet service provider outlining the performance levels they must meet.